Cast your minds back to early 2008, and you'll remember Square Enix taking a few manufacturers of replica swords to court. Those entrepreneurial blacksmiths were, you see, unlawfully ripping off Square Enix's designs. While Square Enix appreciates the enthusiasm of its fans, and values its relationship with them, it is also obligated to protect its intellectual property rights or risk weakening or losing the very rights that enable the company to continue to provide its fans with an exciting entertainment experience. And protect them they did, as Square have announced today that they've settled both in and out of court with at least seven of the alleged copyright infringers. KingofSwords.com, Master Cutlery, Inc., SwordDemon.com and TrueSwords.com all settled with Square out of court for undisclosed sums, while Edgework Imports, Inc., Top Swords, Inc., and Wholesale Gallery, Inc. settled in court, also for an undisclosed sum. In total, however, it looks like Square are to be reimbursed to the tune of around $600,000. We regret having sold unauthorized replica merchandise based on the Final Fantasy franchise to our customers. 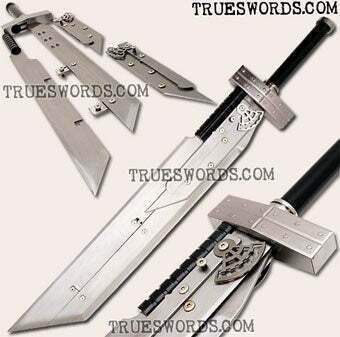 We would not have begun importing and selling these swords if we knew that Square Enix would respond so aggressively to stop us. We will never make this mistake again. Nice to know the only thing they regret is being caught by Square Enix actually coming after them, and not, you know, doing the wrong thing.